Disclaimer: I received the Priority Chef Knife Sharpener in exchange for my honest review. All opinions are my own. I hope you all had a rejuvenating weekend--we sure did! Cathy and I spent some time cleaning the kitchen on Saturday, and then we went to the movies yesterday. 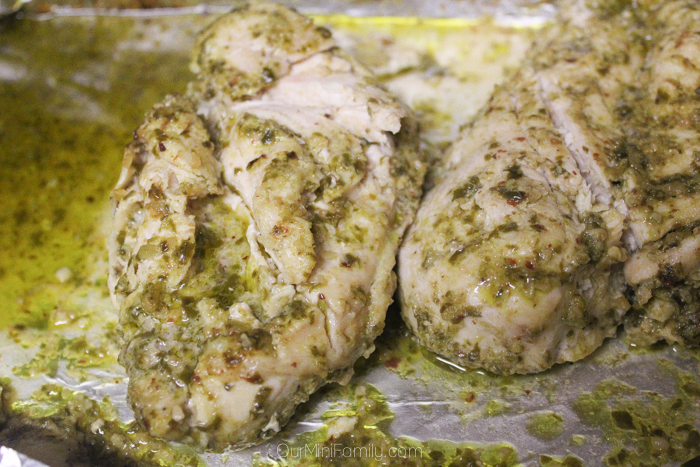 We spent some time cooking dinner last night, and we made this yummy pesto chicken that was so easy! As with all chicken, it's important to clean the chicken breasts and then remove the excess fat from the breasts before you cook them. I made sure to do that, but we also did something we haven't before: we sharpened our knives! Having a knife sharpener has made all of the difference! We have had these knives for years, but they are like brand new after we sharpened them with the Priority Chef Knife Sharpener. The Priority Chef Knife Sharpener is so easy to use--and it was very effective! I know Christmas is many months away, but I know I will be gifting it to at least one of our foodie friends! After we sharpened our knives and cleaned them entirely of any metal shards/leftovers from sharpening, we began preparing our chicken breasts. Now for the fun part! 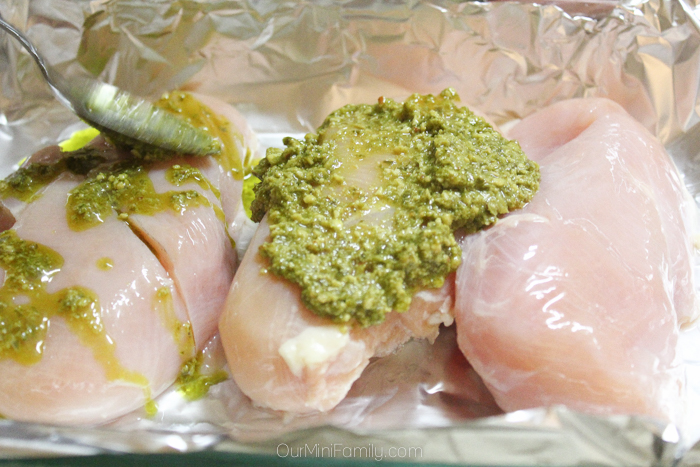 We doused our chicken breasts in pre-made pesto sauce. It pretty much does not get any easier than this! 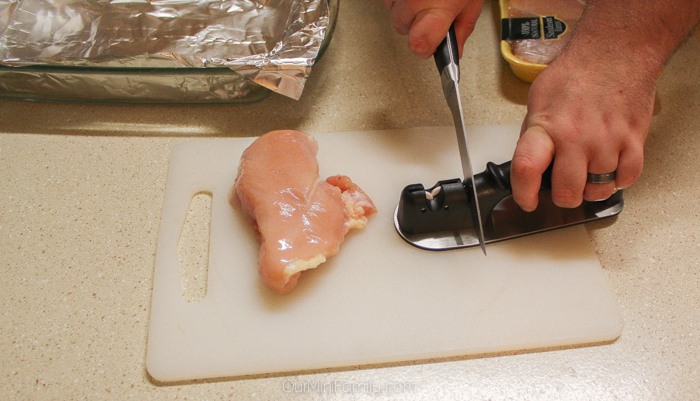 And with sharpened knives, there was practically no tension when trimming the fat from the chicken breasts too! 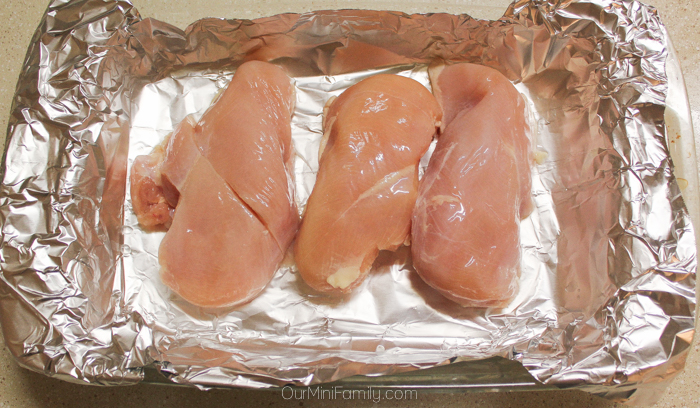 Bake your chicken breasts at 350 for 30-35 minutes. Check your temperature at 30 minutes. Mmmm so delicious! 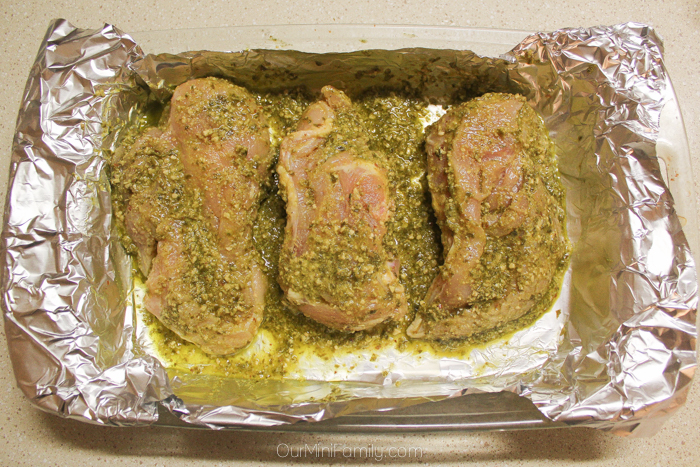 Not necessarily the most photogenic chicken dish I have seen, but it tastes fantastic if you are a fan of pesto! 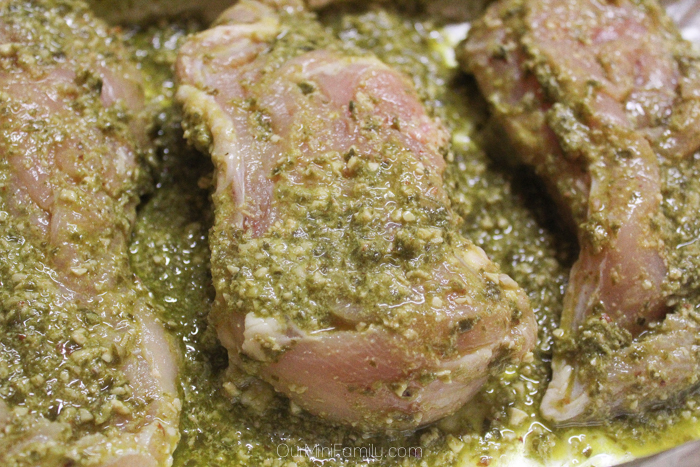 We hope you try making some pesto chicken of your own. If you aren't already sharpening your knives, I highly recommend it! This sounds super easy and looks delicious! 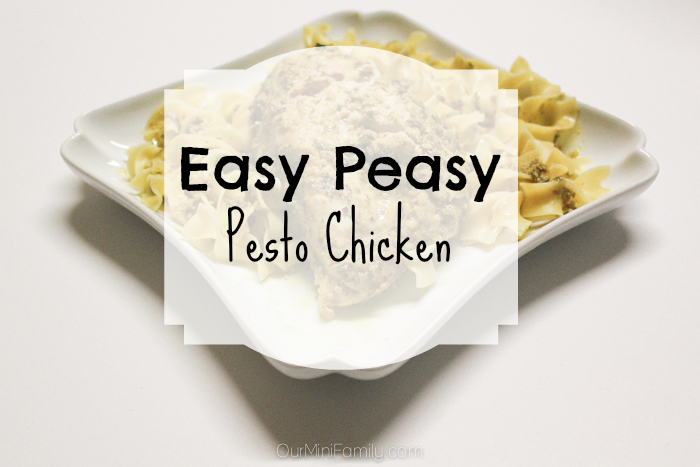 It was definitely the easiest chicken we've made in a while! And delicious! OMIGOODNESS...it looks so yummy ! Can I come to your place to eat,lol ?! Love love love pesto! Thanks for the great recipe! That knife sharpener looks amazing! We just have the bar thing and it doesn't work at all! The Priority Chef Knife Sharpener is really great! Definitely a worth-while investment for sure. that looks delicious! Makes me hungry! thanks for the recipe!